NLP could be described as ‘the owner’s manual for the brain”: it can help you understand yourself better and as you learn to manage yourself more effectively new horizons will open up for you and you’ll achieve your full potential more easily. The results you get depend on how much you use what you learn. 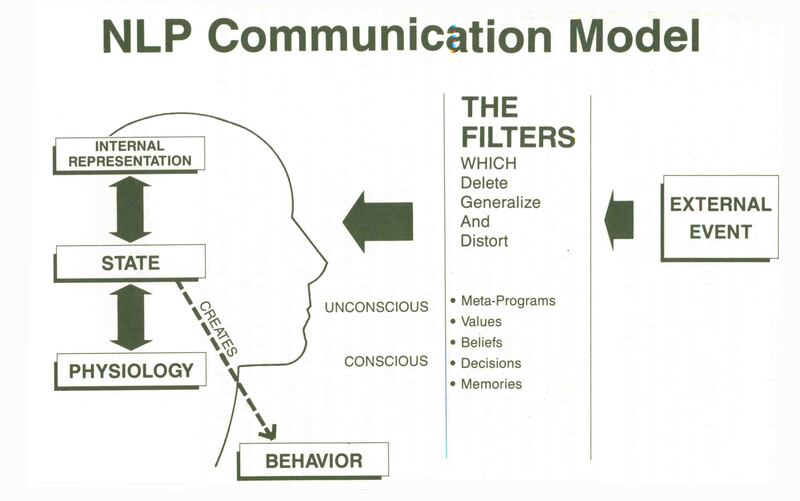 The more you take action and use the tools of NLP the more you will get out of it. The more you put into it, the more you’ll get out of it. No one can do it for you, but if you truly want to use these powerful tools the results may well surprise you. If one event is consistently followed by another we believe the first causes the second. This is the law of cause and effect. While this law is very effective in describing the behavior of inanimate objects, it is not so good when it comes down to humans. If I kick a ball at a certain velocity I can predict where it will land but if I were to kick you what would happen? It depends on what you want. This is because you have free will and a ball doesn’t. If you put yourself at the cause end of the cause-effect equation you place the locus of control within you: you believe that you can make a difference in the world around you and that you are responsible for how you think and feel. When you are at cause not only you have the response-ability to make thing happen but also to respond rather than react to things outside of yourself. If on the other hand if you put yourself at the effect end of the equation you carry the belief that other people (and not you) are responsible for how you feel and act. This idea is built in the English language in expressions such as “he made me angry, she made me feel… this car is winding me up”. This idea leads to believing that emotions are things that happen to you and it will make you act as if you have no responsibility for what you feel and for how you react. On the other hand, people that put themselves at effect also tend to believe that even though other people are responsible for what they do, they themselves are responsible for other people’s emotions. This way of thinking leads to giving your power away and to feelings of guilt whenever others wittingly or unwittingly manipulate us by telling us “you upset me”. So the answer to “who is driving the bus” is you! unless of course, you want to suffer the consequences of believing otherwise. Do you drive in automatic or manual mode? Let’s stretch the driving metaphor a little more: when you drive in automatic you allow no space between what triggers you and your emotional response. Let’s say that someone says something that you interpret in the light of your existing belief system as being offensive or upsetting. You tell yourself or label the incoming information as inappropriate insensitive etc. and then you respond accordingly by becoming upset/angry etc. The process is unconscious and it happens very fast; so fast that it can look like the trigger is the cause and your emotional response is the effect. The truth is that there is a space in between the trigger and the response, and in that space lies the power of choice to choose your response: this power is what gives you freedom and makes growth possible; this is what makes you drive in manual. How do you deal with life’s blows? When you are at effect and something doesn’t go your way you are likely to ask questions such as “why ?” “why does this always happen to me?” This question tends to lay blame on yourself or others and focuses your attention on the past. By doing this it does not help you solve the situation or feel good about it. When you are at cause the question tends to be more something like “What’s going on here”? “How’s this come about?” “What can I do to change things?” “What do I want instead of this?” These questions focus on the now, and on solutions, rather than the details of problems. If you approach problems this way you are more likely to deal more effectively with difficulties and things won’t bring you down as much. To make sense of the world around us we need to filter the information we receive from our senses at all times. If we didn’t we would be overwhelmed and would not be able to function because we would be lost in an overload of sensory information. Drugs such as LSD temporarily suspend our filtering system and that is why someone on the drug can be lost in mystical contemplation of a leaf for hours on end. Our filters make it easier for us to function effectively in the world but sometimes they can also lead us astray. What are these filters? and therefore we end up with an internal representation of reality that is misleading and not useful. Seeing that we are constantly filtering the world through the lens of our perception the world we perceive is NOT reality but only a filtered representation of reality: a distorted, deleted reduced and generalized reality. The map (our filtered representation of reality) is not the territory (reality). Some people would then argue: if that is the case then how can we know reality? The simple answer is that we can’t but that doesn’t matter. What matters is not that the map is true but that it is useful. 2) Remember that your intuitions are just guesses: to avoid the cognitive error of mind-reading (that is, acting as if you knew exactly what the other person is feeling and thinking) always check your intuitions against what others say they feel. 3) Start from what makes sense to others: when influencing others to build bridges to where you want them to be, rather trying to convince them that you are right. 5) Actively look for examples where your limiting beliefs aren’t true. Limiting beliefs are beliefs that are holding you back or not serving you. 6) Ask yourself: what would happen if you did the very thing you think you can’t do but would like to do? 7) Actively look for counterexamples to your generalizations. How you feel and act is a response to how you perceive the world to be, not the world itself, and other peoples response to you is based on their perception of their own behavior. For example: if you are worried about calling someone because you expect to be rejected chances are you will act in a way that will get you rejected. This is what a self-fulfilling prophecy is. If you want to be successful you need to change your expectations. What are you projecting out into the world that’s getting in the way of your success (or of achieving your goals)? What do you want to project instead? What could you do to make things worse? If you can make things worse you can also make things better, so explore what you could do to improve things, even if just a little bit. People who are successful believe that what they do can make a difference. They have a sense of agency. So ask yourself what you want ( If you don’t know, set yourself the goal to find out ) and expect to achieve it! If you set a goal for yourself you start paying attention to the environment around you differently. You notice bits of information and opportunities that help you move closer to your goal and you get a better sense of who you are and of whether you are moving in the right direction. Whether you want better relationships, a raise at work or you’d like to shed a few extra pounds NLP can help you achieve your goals by showing you how to use your mind positively and effectively. 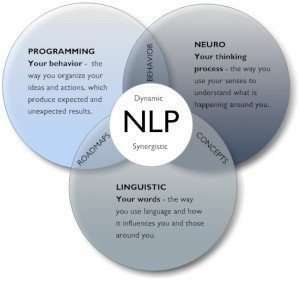 I integrate NLP principles with Hypnotherapy and Coaching to support you throughout the process of change necessary to be successful in your chosen goal. If you want to learn more about NLP I would suggest you listen to Andy Smith’s Practical NLP podcasts, otherwise why not call me for a no-obligation consultation today and find out how we can work together to get you closer to what your heart desires? Most of the information presented in this article is taken from Andy Smith’s podcasts. You can find and download them for free here: PRACTICAL NLP PODCAST.